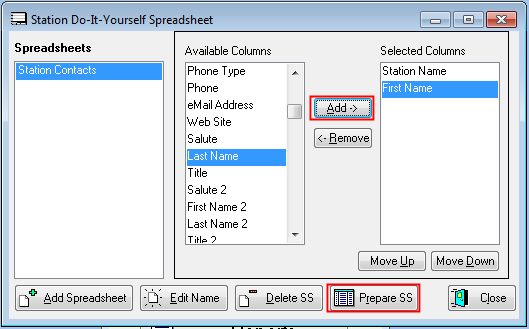 Spreadsheets | Station Spreadsheets | Do-It-Yourself. or: Spreadsheets | Volunteer Spreadsheets | Do-It-Yourself. Choose each field in the middle column - Available Columns - and click Add to include it in Selected Columns. 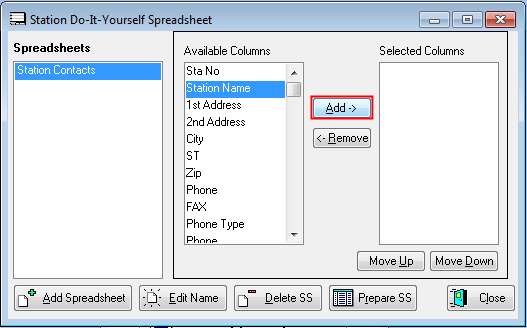 This example does a Station Do-It-Yourself Spreadsheet to list the contact persons for stations. 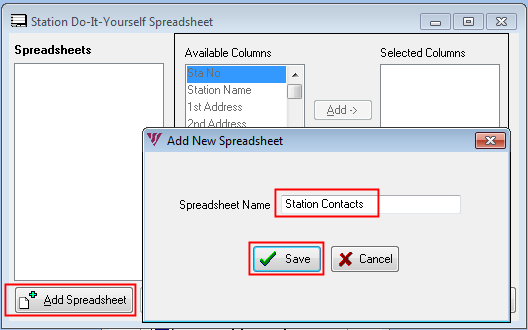 Choose each field in the middle column - Available Columns - one by one and click Add to include it in Selected Columns. You can rearrange the column order with the Move Up / Move Down buttons. 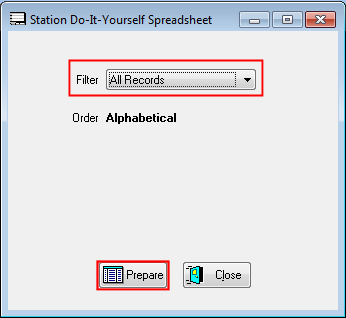 At this point you can use a filter if desired to turn a generic spreadsheet that reports all records into one specific to individual stations or other limitation.